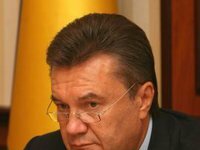 Ukrainian President Viktor Yanukovych has signed an EU integration law on amendments to the electoral legislation introduced by Party of Regions deputies and supported by parliament. "Ukrainian President Viktor Yanukovych signed Law No. 709 -VII on the introduction of amendments to some legislative acts of Ukraine concerning the improvement of the legislation on elections," the presidential press service reported on Friday. As reported, on December 5, Verkhovna Rada Chairman Volodymyr Rybak submitted the law for signature by the Ukrainian president. The document was introduced by Party of Regions MPs and adopted by parliament at second reading on November 21. The law envisages the creation of a foreign election constituency, which will include all foreign polling stations. It is proposed that the Central Election Commission be vested with the powers of a district commission in this constituency. As is known, the law on parliamentary elections, which was adopted before the parliamentary elections in 2012, initially foresaw that foreign polling stations are included in single-member constituencies in Kyiv, but the Constitutional Court declared this provision unconstitutional. The opposition regarded this as the authorities' intention to reduce the number of constituencies in Kyiv, as residents of Kyiv are more sympathetic to the opposition. The law also envisions that in additional to political parties, the parties that nominated their candidates in the nationwide constituency, i.e. on party lists, can also participate in the formation of district commissions. Non-parliamentary parties that nominated their candidates in single-member constituencies also participated in the formation of district commissions in the 2012 parliamentary elections. This led to the fact that most members of district commissions represented the parties that each nominated one candidate in any of the 225 districts. In addition, the amount of a deposit for parties is reduced from 2,000 to 1,000 minimum wages and candidates in single-member districts from 12 to 10 minimum wages. The size of the election fund of the party whose candidates are registered in the nationwide constituency and candidates in single-members constituencies (changes in the first part of Article 48 of the law) was also restricted. It also introduces a limit on the size of the election fund of parties and candidates running in single-member constituencies, although there was no such limit in the 2012 parliamentary elections. It also reduces time limits on the spread of information about the results of public opinion polls from ten to seven days prior to the voting day. The law foresees the regulation of the rules for the participation of news agencies in the electoral process, comparing them in status to the media. It also envisages the introduction of the so-called system "gender orientation of political parties," which concerns the voluntary introduction by political parties in their charters of party quotas for women.